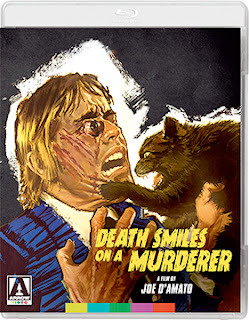 It is best to be honest right up front, it takes at least two viewings of Italian filmmaker Joe D’Amato’s 1973 giallo tale, Death Smiles on a Murderer, to make sense of what is going on. There are two storylines that have been mish-mashed together that makes it part horror tale (think: Vincent Price and the American International films from the mid-‘60s) and part pure erotica (which is what D’Amato would become known for). Arrow Video, with domestic sales and distribution expertise provided by MVD Entertainment Group, has picked May 22 as the street date for a new 2K restoration (from the original camera negative) of Death Smiles on a Murderer. It will be available as a Blu-ray SKU. Any film that takes more than one viewing to be fully appreciated, especially when it never got a domestic theatrical run, is a film that ultimately works — like many of the Spaghetti Westerns from the ‘60s and ‘70s that seemed choppy as hell and disjointed, but grew on you just the same. Greta (Ewa Aulin) is dead … dead three years. The fact that she died might have been a blessing. Her brother (Luciano Rossi) loved doing forbidden things to her and the nasty Dr. von Ravensbrück (Giacomo Rossi-Stuart) had his way with her as well. 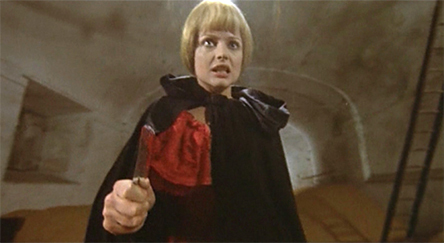 In any case Greta is back (thanks to her brother) and has an accident on the grounds of the von Ravensbrück estate (her carriage crashes … conveniently) and Walter (Sergio Doria) — the son of Dr. von Ravensbrück — and his trophy wife, Eva (Angela Bo), take the poor young women in and nurse her back to health. Which means that each of them have their way with her. Staff go missing, but no matter. 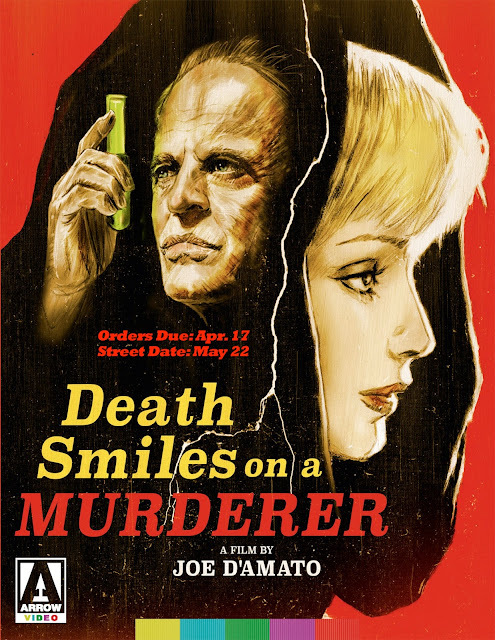 A doctor (Klaus Kinski) takes an interest in her case (and her as well) … but when Eva discovers that her husband is doing exactly what she is doing, she drugs Greta and in the very best of Edgar Allen Poe traditions walls her up to die. There you have … jealous wife kills mistress and the body is never found. Ha! We are only getting started. It seems that Greta — a homicidal maniac — staged the entire thing to gain access to the von Ravensbrücks … and killing her might be impossible. Don’t ask, just get the Blu-ray, which arrives in with both the original Italian language track and the English-dubbed version (with subtitles), on May 22.